It takes all kinds of people to make a great team. Effective interaction between team members is a key factor to creating and sustaining high performance teams that contribute to the company’s business goals. How can you enhance your team member’s ability to effectively interact with each other in a way that maximises the team’s performance? Each team member is unique and has different needs and priorities. Understanding the perception of other team members is critical to improving performance and productivity. 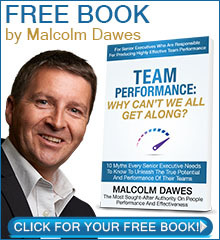 This program offers proven ways to interact more effectively with all kinds of team members. team FLEX includes an Interaction Profile (IP) that measures five behaviours critical to performance. This instrument allows participants to understand how other team members perceive them and enables more effective interaction with a wider range of people.